The holders of 16-Year education in commerce or business studies from any HEC recognized university are eligible for direct entry in Managerial Level-2. The holders of 14-Year education in commerce or business studies from any HEC recognized university are eligible for direct entry in Managerial Level-1. 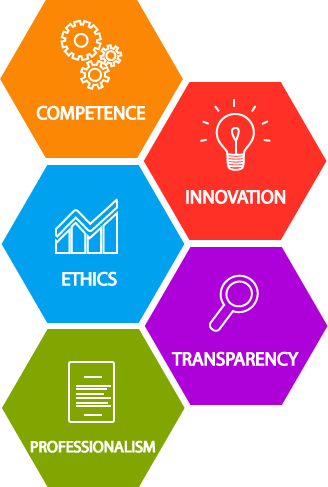 ACMA: Local Laws Gateway Examination [LLG] and S2- Audit & Assurance of Strategic Level-1. FCMA: Local Laws Gateway Examination only. * S3-Business Taxation subject to passing F6 Taxation Pakistan Variant. 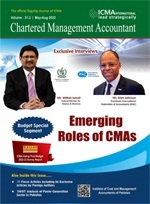 Members of CPA Ireland are eligible for direct membership of ICMA Pakistan if they have completed CPA examination, practical experience requirements, be a member in good standing, not currently subject to any disciplinary sanctions or investigations and has not been subject to any disciplinary sanctions in the past five years. Partly qualified students of CIMA-UK, ACCA-UK, ICA Pakistan and PIPFA are eligible apply for waiver from different courses of CMA. Details of courses are as follows.